British Columbia is having a referendum about electoral reform, but does anyone actually know or care about it? On campus, there have been a few student groups organizing, but it appears that the student population remain vastly unaware. The ballots have now for the most part been mailed out, but as of November 14, only 18 per cent of registered voters ballots have been received by Elections BC. And where are the student voters? Referendums, as well as the elections process more broadly, do not actively engage with youth voters. Except for BC Premier John Horgan saying that “pro rep is lit” at the leaders debate, the system in place is unable to connect with a young, unstable and mobile population. The majority of university students move around throughout their education. Students often live in one place throughout the school year while moving home in the summers for work opportunities. The mobility of young voters makes the format of a mail-in ballot somewhat difficult even at surface level. Mail-in ballots rely on voter registration information to provide constituents with their ballot. So, if you have moved recently or move frequently, there is decent chance you haven’t updated your voter registration, which would lead to you missing a ballot. A mail-in ballot is also unable to target those who are already disengaged or have mobile living situations. Those who don’t have mobile living situations are often homeowners comprised of older portions of the population who most likely haven’t recently moved and are registered to vote. This design targets permanence and doesn’t reach out to bridge the gap to those who are mobile. The process does not take any steps to actively reconcile this gap, such as to reach out and better inform those who may not be engaged in the process. If the province cared to close this gap, they could have made an effort to connect with this mobile cohort of the population. Besides, who sends out mail these days? Referendums and elections haven’t moved to modernize and keep up with the digital generation. Since 2004, Switzerland has been running e-voting trials all over the country and plans to have e-voting in at least two-thirds of the country by 2019. If you can go online to request your ballot with an identifying number like a drivers licence number, why is it unheard of to be able to vote electronically? Yes, computer failure or corruption is something to keep in mind, but it shouldn’t be holding back electoral processes from working to more actively serve voters. Given the process, we encourage young people to reach out and talk to each other about the referendum. Make sure your friends are voting and ask them to check in with their friends too. As scary and daunting as “electoral reform” sounds, there are lots of resources out there to get informed. UvoteBC is a website put together by UBC political science students to act as a resource for the referendum. 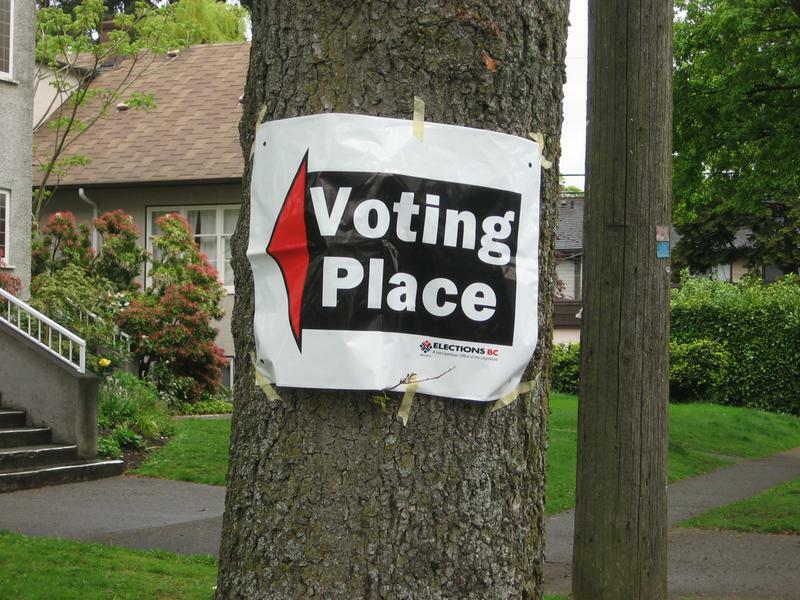 It is non-partisan and hopes to better inform British Columbians on their options at all levels of interest, from case studies of different electoral systems to curated media coverage — and there is even a podcast on the way. Lastly, check the Elections BC website for more information on how to obtain and cast your ballot. You have until November 23 to request a ballot online or pick one up in person. If you still have any unanswered questions or confusions, CALL Elections BC and they will gladly answer any questions you may have. All ballots must be received by 4:30 p.m. on November 30 and they can also be dropped off at select locations throughout the province. Please take the time to fill out your ballot and think about the way we vote in this province. Helen Zhou is a fourth-year philosophy student and Emily Paterson is a fifth-year political science student. They are both involved with UvoteBC. The opinions expressed are solely their own.